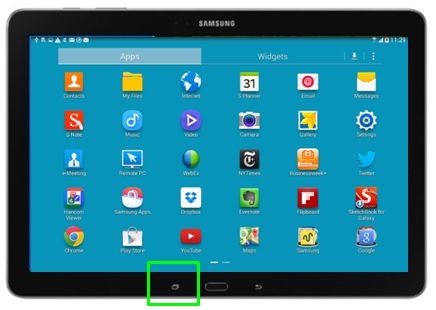 How do I remove an app from the Recent Apps list on my Samsung Galaxy NotePRO? 1. 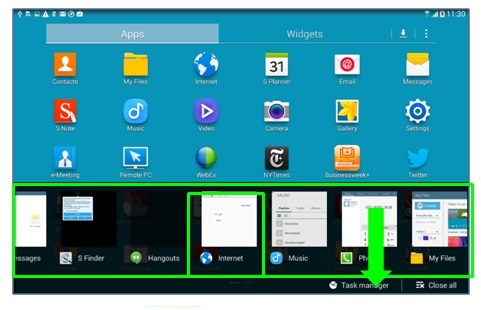 Press the Recent apps key to access to recently used apps and the task manager tray from any screen. 2. The apps Tray will be shown. To remove from the list, tap and hold on an app and drag downor Press and hold the icon. 3. If you select Remove from listthe app icon is deleted from recently used app. Through tapping Task manager youare able to further manage the applications. [Galaxy View] How to use split screen view?